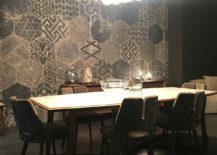 A dedicated dining room is increasingly becoming an afterthought for most homeowners, with open-plan spaces replacing the traditional, formal dining space with more open settings that encourage interaction between family members. 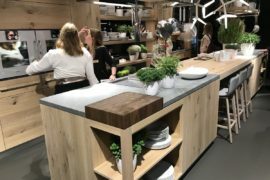 Others are finding new ways to combine the dining experience with the kitchen to create a larger ‘social zone’, even as the once-exclusive dining room is being transformed into a home office or media room. 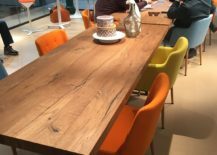 Simply put, the modern dining room seems to be in a constant state of flux, making it one of the hardest to design. 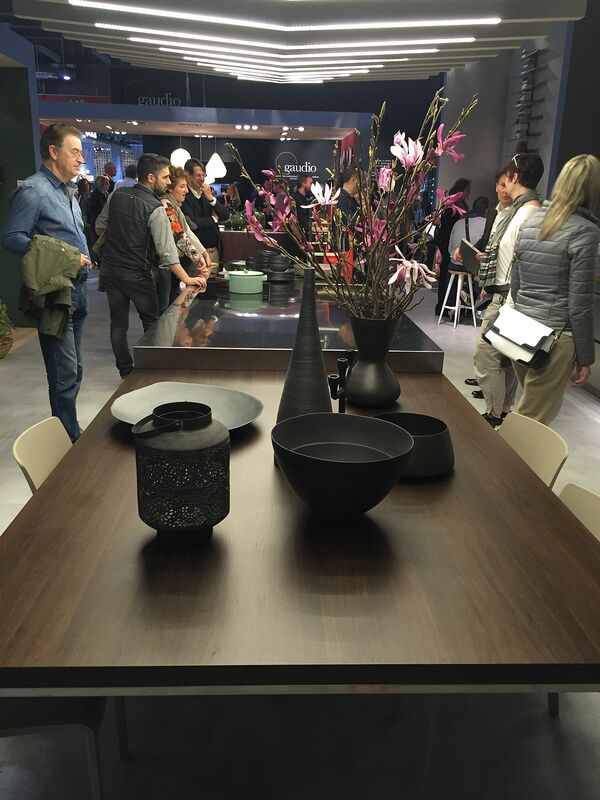 Thankfully, we have an event like Salone del Mobile 2016 to give us the lowdown on all the latest trends! 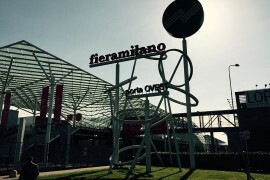 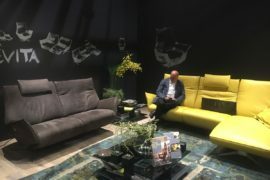 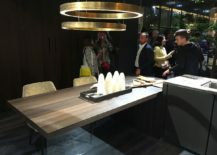 This year’s annual installment of the world’s biggest interior design and décor fair in Milan brought along with it an amazing array of kitchens, bathrooms and trendy home décor that simply blew us away. 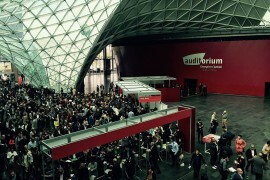 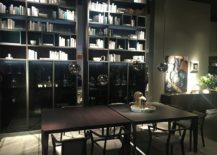 Of course, one would expect nothing less from Salone del Mobile! 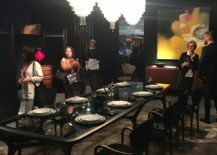 But lost in all the rush are the fabulous dining rooms that seemed to play supporting cast on most occasions. 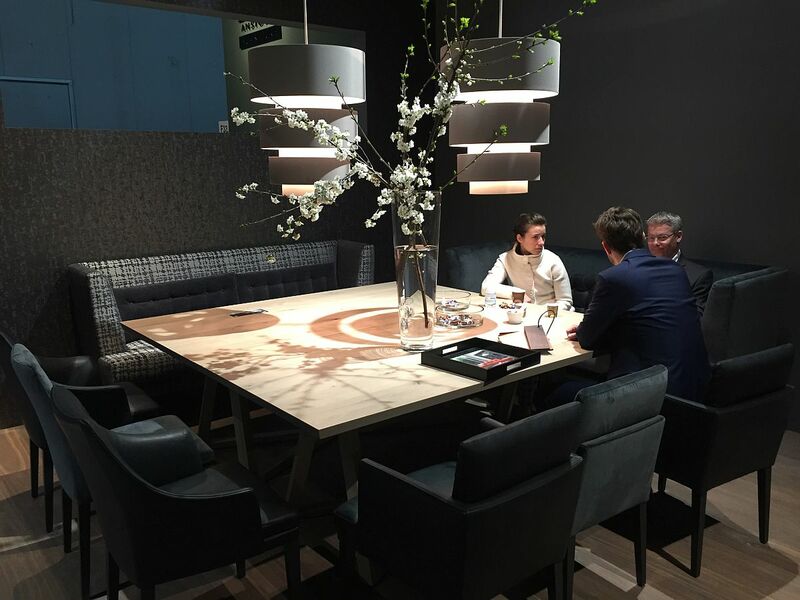 Not anymore, as we bring you the 40 best dining room ideas from Milan 2016. 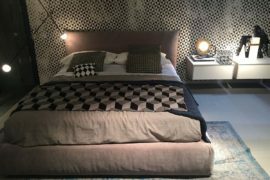 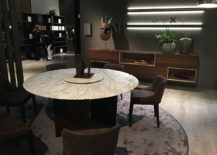 It is pretty much obvious that just like the gorgeous beds that stole the show in our collection of 45 fashionable bedrooms from Milan 2016, it is the dining tables that end up being the showstoppers here. 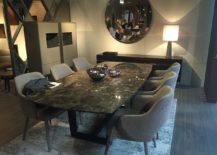 The beautiful dining table is indeed the most important piece of your dining room, and it becomes even more important if you want to shape a striking and distinct dining area in an open-plan living area. 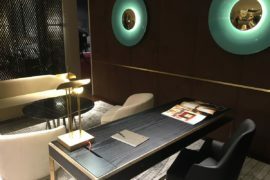 Topping the list of ‘simply amazing’ dining tables at this year’s Salone del Mobile are the likes of Atlas and Adler from . 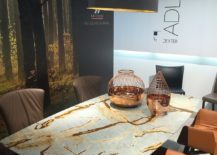 These exclusive dining tables with stone and wood tops bring the colors and textures of nature indoors while blending in with a variety of styles. 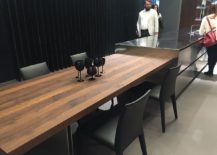 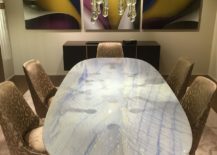 , Alf DaFre and also showcased elegant dining tables that promise to become the center of attraction the next time you have a great family dinner or throw a gala party for friends. 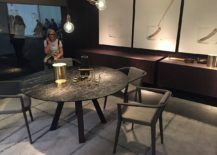 Dica is a brand that offers less glitz and more minimalism with its designs inspired by Japanese simplicity, while celebrates rustic finishes. 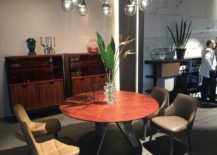 We’ll move on to the issues of space and styling a bit later, but there is no doubt that a great sideboard, credenza or buffet is an absolute must to complete an aesthetic and ergonomic dining space. 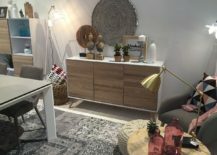 Modern décor often makes use of a name that brands feel is the most ‘fancy’, rather than sticking to strict rules about what makes a sideboard or credenza. 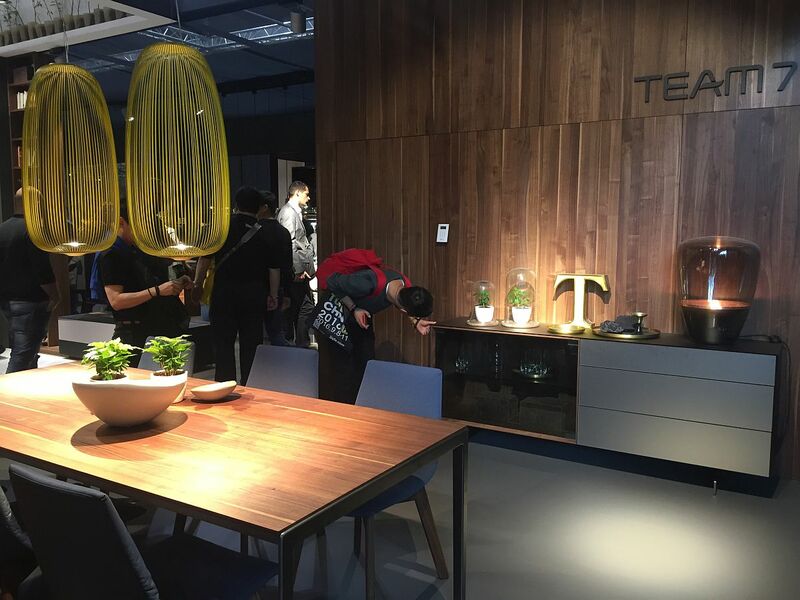 So, do not be too caught up in the name as you shop for some of the exclusive delights that you see here unveiled at Milan 2016. 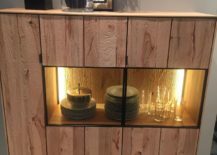 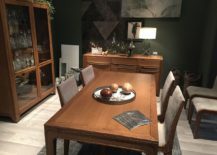 Just look for the best storage option for your dining room, and if your selection comes with a smart display for your fancy china as well, then even better! 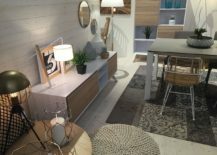 Whenever we talk about home decorating and new designs, space is often the biggest issue that influences most decisions. 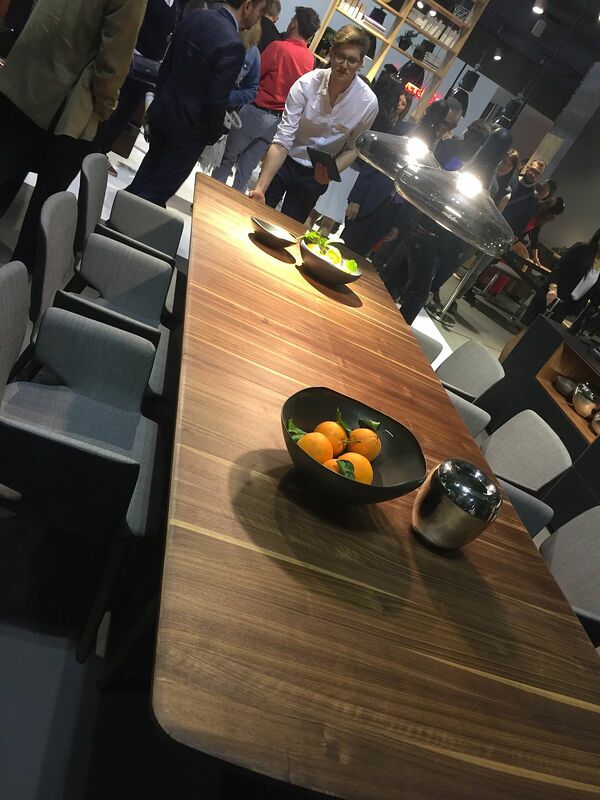 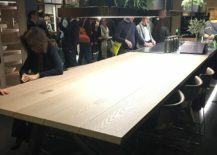 It is no different in the case of the dining room, and Milan 2016 has perfectly captured the growing trend of using an extended dining table that sits next to the kitchen island. 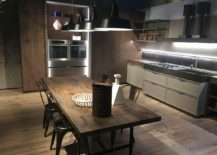 This not only combines the kitchen and dining room into one, but is an amazing space-saver in most modern, urban apartments where every inch matters. 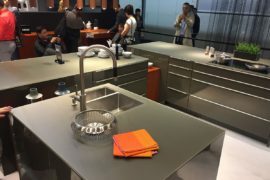 Kitchen makers like and brought out compositions epitomizing this popular choice. 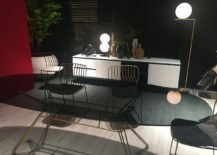 There were not a whole lot of tables at the event that could expand to accommodate your growing guest list during the Holidays, but even among the few on offer, this remarkable design from Team7 was the undoubted showstopper. 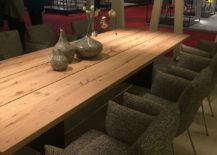 We sure would love one of these in our home as well! 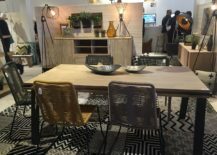 If there is one aspect of the dining room that has evolved immensely and seems the most fun to play around with, it is the dining table chairs. 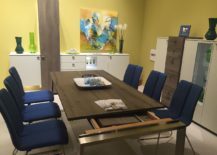 Gone are the days of a formal dining room set with matching chairs, as homeowners are looking for diverse, creative, and at times, colorful options that move away from the mundane. 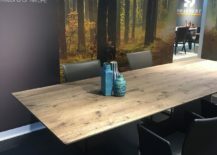 brings chairs that seem nature-centric in their design and have an intrinsic organic vibe, while JAB Anstoetz provides inspiration with mixed seating around the dining table. 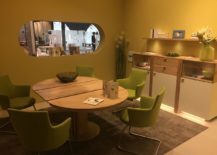 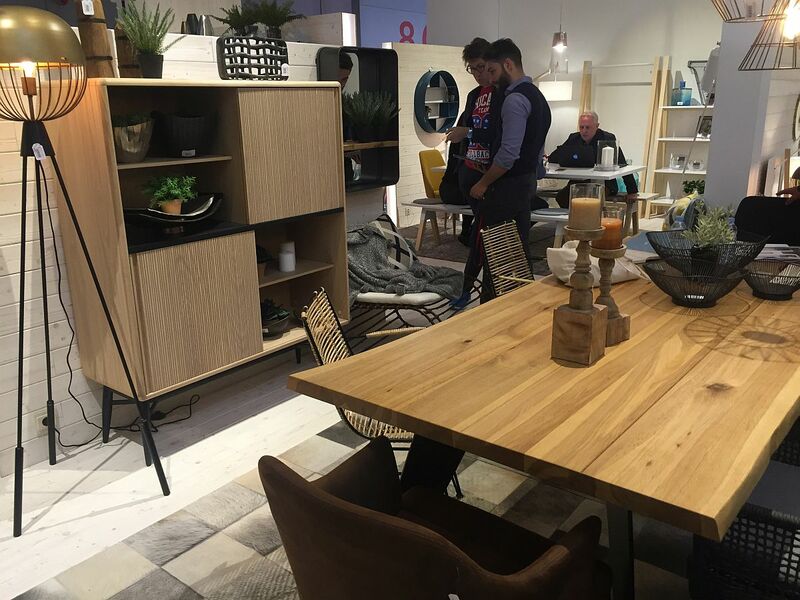 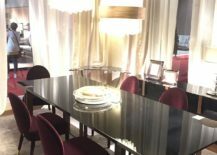 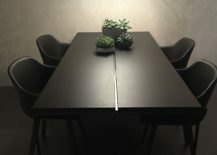 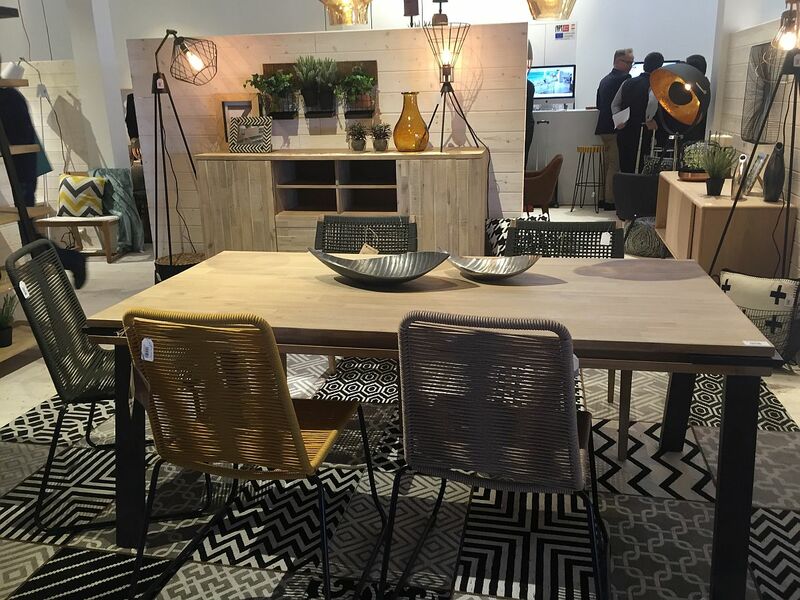 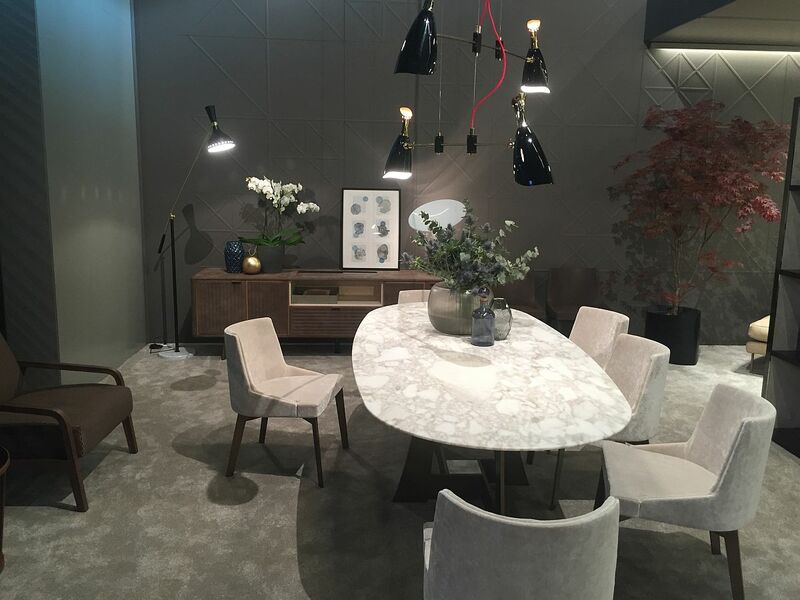 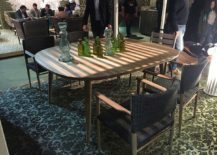 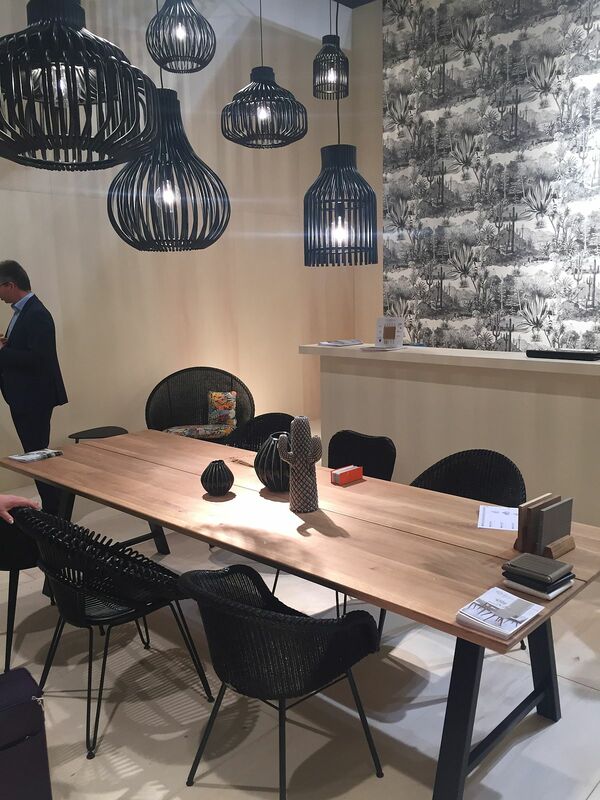 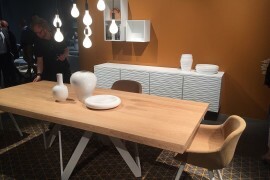 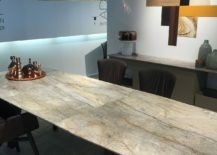 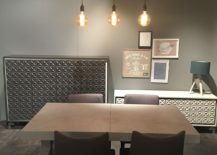 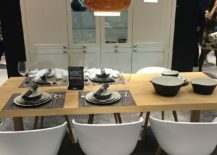 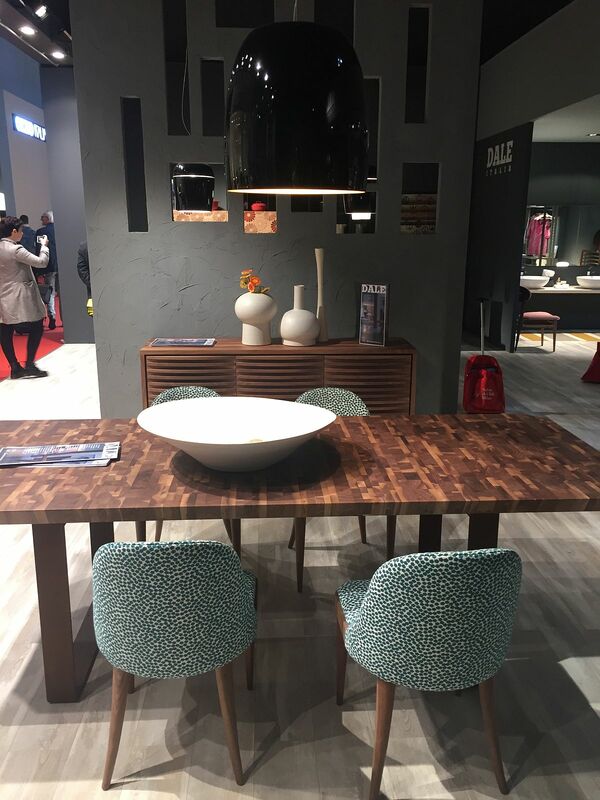 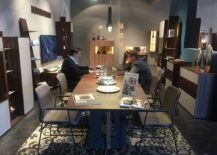 Even though the dining room might take a backseat to the kitchen, living room and bedroom when it comes to planning a new home, the wide range of latest furniture from the world’s best décor makers on show at Milan 2016 surely should inspire you to give your own dining space a quick makeover. 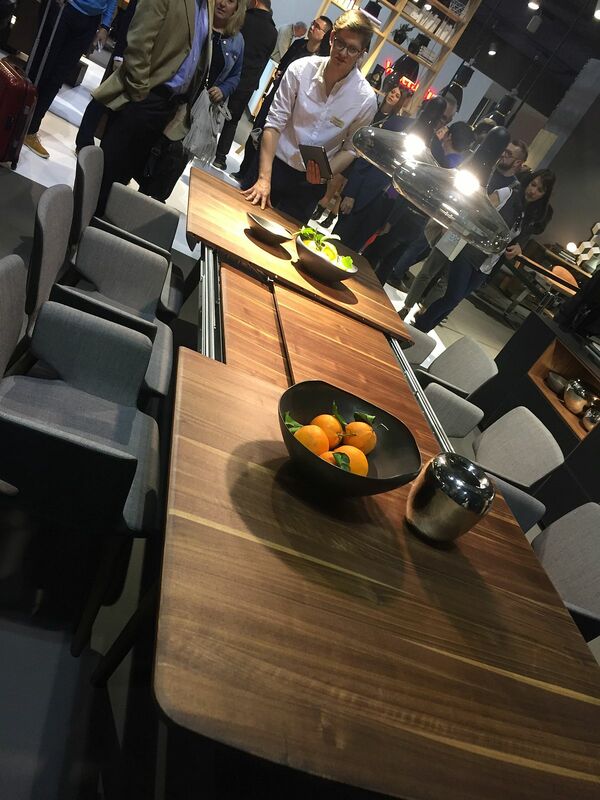 It is now just a matter of picking you favorite… a task that is surely not easy!